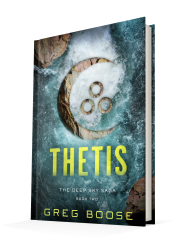 Published October 9, 2018, by Diversion Books Thetis by Greg Boose is the second in his Deep Sky Saga. It’s not very often that I am given a novel that I can’t finish. But it happens. Although it is even rarer that I can’t make it through 13% of a novel or even past the first chapter. This is one said novel. Now, let’s get this straight, to fully appreciate this novel the reader MUST read the previous novel. Had I known that I would have asked the publisher to provide me with the first book as well as the second. I have read books right in the middle of a series. This isn’t something I do often, but it happens. Sometimes a publisher provides you with a novel and it’s only after the fact that I’m aware that this is a sequel. And sometimes my time is limited to 2 weeks to read and review, so I don’t have the chance to pick up the first novel. 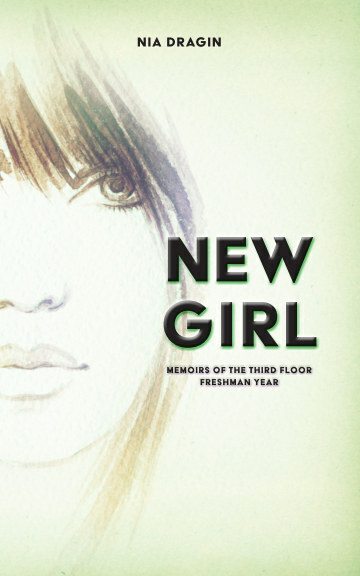 But I have never found myself this confused or disoriented by an opening novel as I was with this novel. Do not read this novel without reading the previous novel. This novel picks up right where the previous left off, right in the middle of all the chaos and action of the previous novel. There are no slow moments, no summarization and exposition. There is nothing to ground the reader in all the madness, it’s like watching a part two of a sci-fi mini-series. The action is on point, it’s just constantly moving without giving the reader a chance to catch up with the plot and the characters. The pace is simply unrelenting. I wish I could say more about this novel because the concept of the novel seems very interesting and maybe one day, I’ll have the chance to pick up the previous novel and start right. Honestly, I wish the publisher had provided me with a list of the characters and important events from the previous novel so that I could have at least had the chance to enjoy this novel even a little bit. Considering I did not finish the novel for the reasons above there will be no grading system provided for this review.